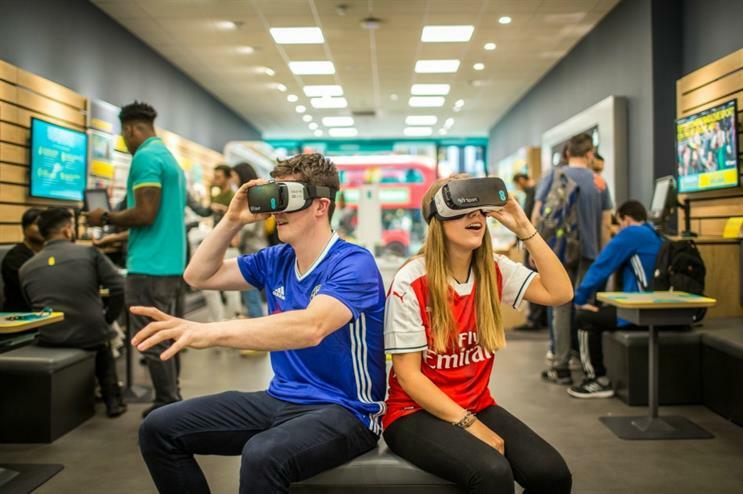 Football fans can experience this weekend's Premier League football clash between Chelsea and Arsenal live in virtual reality (VR) in four flagship EE stores in London, as part of a new BT Sport trial. BT Sport will film the game using VR cameras and is working with LiveLike, a VR platform company that allows broadcasters and sports teams to deliver immersive viewing experiences, so fans can choose from four different viewpoints. They will also experience the game as if they are pitch-side or sitting in the crowd, watching the two London clubs battle it out. The trial will be run in four flagship EE stores in London. These are: Westfield Stratford, Oxford Street, Marble Arch and Tottenham Court Road. The match kicks off at 5.30pm on 24 September and is being shown exclusively live on BT Sport. VR headsets and tablets will be available in each store for fans to use during the match. Jamie Hindhaugh, COO of BT Sport, said: "BT is delighted to be bringing fans even closer to the action. We hope fans enjoy experiencing all the highs and lows of a football match via virtual reality. Fans and viewers are at the heart of our coverage and this is a great opportunity to experience this innovative new technology live in four of EE’s top London stores." Marc Allera, EE CEO, added: "We know that our customers love watching sport on the go and that’s why they love the fact they can now enjoy the BT Sport app as part of their EE plan. This fantastic VR trial of BT Sport in four flagship London stores is yet another example of the additional benefits and unique experiences our customers will enjoy now we are part of the wider BT Group." EE launched its Wembley Cup series on YouTube last month. South African Tourism is hosting a pop-up featuring VR experiences this weekend at London's South Bank to promote the destination.